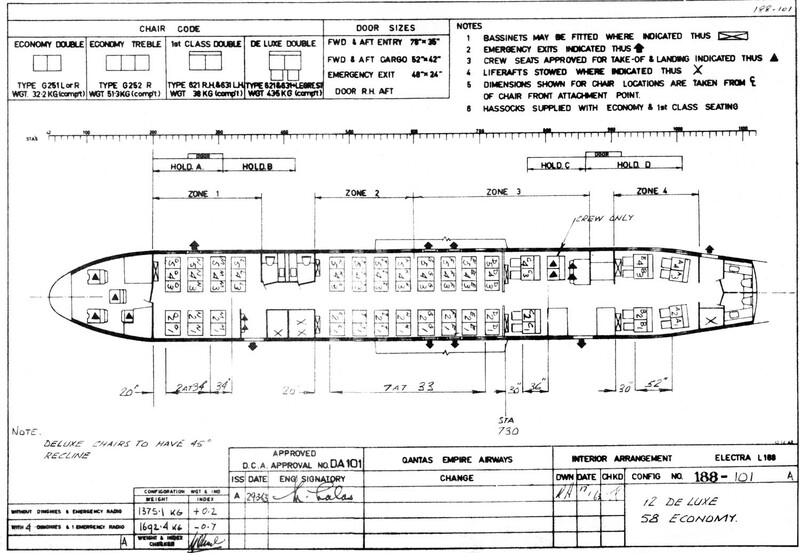 This drawing was included in the specification for L-188C Electra VH-ECC when it was sold to Air New Zealand in April 1965. The earliest date on the drawing is 13 December 1962 and the latest date is 29 March 1963 when an amendment was approved by the Department of Civil Aviation. The seating configuration is described in the specification document as 12 De Luxe and 58 Economy seats.